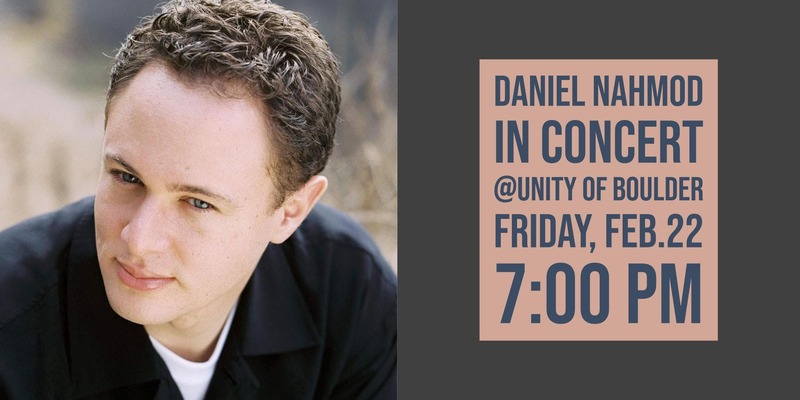 We are pleased to be hosting a Concert with Recording Artist, Singer/Songwriter/Guitarist/Pianist, Producer and Humanitarian DANIEL NAHMOD on February 22, 2019 at 7pm! Daniel's poetic and evocative message of peace, love and compassion across all nations, cultures and faiths has found overwhelming acceptance wherever he has performed and he has has presented his spectacular music and message for nearly all of the world's major faiths, including Christian, Catholic, Muslim, Hindu, Buddhist, Jewish, Baha'i, and Mormon audiences. For more information about Daniel’s music please visit DanielNahmod.com!